We combine human insight with innovative technology to help you create intelligence that’s anything but artificial. Large-scale human insight and ground-breaking tools allow us to concisely address the pain points of the data annotation and data collection efforts being performed by global companies of all sizes. And because innovation is in our DNA, we work faster, more efficiently, and produce the highest quality results. Since 2011, we have provided human annotation services for a variety of machine learning approaches and applications. With a growing crowd of workers in more than 200 markets around the world, AI Data Innovations has resources as vast as nations and as localized as neighborhoods. When it comes to the applications for this intelligence, there are no boundaries. For an idea of the possibilities, here are a few examples of what we’ve done for some of the largest tech companies in the world. Patrick has more than two decades of management experience, including 14 years in data quality. In his time before establishing AI Data Innovations, he was a senior vice president with responsibility for search, voice and AI-related data delivery for more than a dozen multinational clients on projects in more than 30 countries. He was also one of the founding members of the first Chinese social media monitoring companies. 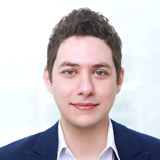 At AI Data Innovations, Patrick is responsible for the overall delivery of search, voice and facial recognition, and social media monitoring services. He is also responsible for the financial oversight of the company. 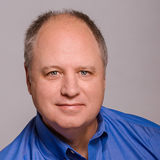 Over a career that has spanned almost 30 years—23 of them with Microsoft—Tom White has become an industry-recognized expert in search relevance solutions and the collection of high quality human generated data for machine learning. 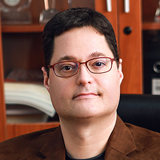 At Microsoft, Tom led the effort to bring large-scale human-based data collection to inform projects from small studies to massive data collection efforts. During this time, Tom developed a passion for the power of crowds that he brings to his role at AI Data Innovations, where he is responsible for product vision, strategy, design, development, marketing and business development. 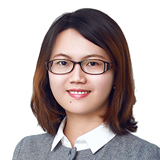 As the leader of the research and development team at AI Data Innovations, Wenyu is responsible for setting the strategic research agenda, delivery and translation of these into tangible software and process solutions. In her experience working with IP project and process management, she has developed a holistic approach to IT management. Her extensive experience in the areas of digital processing modelling, business intelligence, and workflow system integration creates the intellectual environment that ensures the success of platforms across global dimensions. 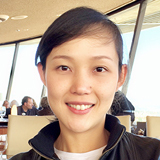 With 14 years of experience in the technology industry and more than 5 years of experience in providing datasets services for Artificial Intelligence companies, Helen leads AI Data Innovations’ business development efforts. Before joining AI Data Innovations, Helen was the business development manager at HCL where she established a new consulting and implementation practice in Greater China. Prior to that, she was responsible for the sales of Oracle’s enterprise management systems. With global project management experience and expertise in project lifecycle management, Michael is responsible for the delivery and management of AI Data Innovations’ managed and crowd services. With over eight years of project management experience in fields such as search relevance, machine translation, and text-to-speech derived services, Michael has built globally scalable teams to deliver enterprise and consumer solutions for large, multinational technology companies. Michael holds a Master's degree from the University of Nottingham. As the recruiting team leader, Ronke oversees recruiting deliveries and ensures they meet the client’s requirements and expectations. 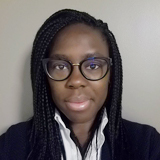 By conducting regular follow-up with managers located around the world, Ronke determines the effectiveness of recruiting plans and implementation. Before joining AI Data Innovations, Ronke spent five years in global recruiting for large multinational technology companies. Our client needed support to identify new strategic opportunities in a mature market. Global experience, localized resources, focus on innovation. Let’s talk about how can we put them together to gather the high-quality data you need for your project. © 2018 AI Data Innovations. Web design by efelle creative.